Pitbull Temperament - Is the Aggression All Hype or Real? Pitbull Temperament – Is the Aggression All Hype or Real? If there’s one discussion that’s “bipolar”, it’s about the question “Is the Pitbull breed a danger to society?”. The two statements up above were taken from an online dog behavior forum and, as you can see, they are pretty extreme views… and quite typical of a Pitbull discussion. Let’s cut through the hyperbole, shall we, and try to get to the facts about the breed. Pitbulls were created by crossing bulldogs and terriers. In essence, early breeders were attempting to combine the “mad” bravery of the terrier with the strength of the bulldog. They appear to have succeeded because the Pitbull rapidly grew to be one of the most popular breeds involved in dog fighting, a practice now outlawed in the US. 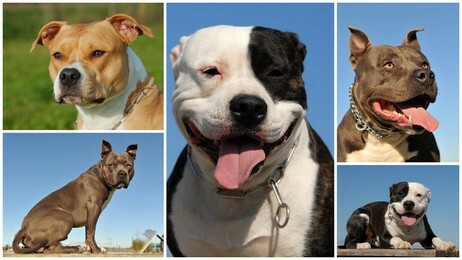 Additionally, a cross between any of these three breeds is considered a Pitbull. In some jurisdictions, the American Bulldog is also included. The Pitbull is an athletic dog that needs a significant amount of daily exercise. Don’t even dream of considering a Pitbull if you live in an apartment. The ideal home is a farm with lots of space. The average Pitbull needs way more exercise than the average dog. Without enough exercise, your Pitbull will get bored … and destructive. It will not be pleasant, because their terrier “never stop” genes combine with their bulldog “strength” make a seriously destructive package. Couches, boots, mattresses, you name it! They will all be in shreds. Pitbulls are known to be loving and loyal to all members of the household. This Pitbull temperament is in part what drove many Pitbulls to heroic acts where they have saved family members in various circumstances, rescued people and animals in a flood and one, D-boy, that took three bullets while successfully warding off an intruder. Most owners will agree that Pitbulls are extremely loving. They adore being around humans and being involved in everything the family does. And kisses! You can get drowned in them. Pitbulls were initially bred to track down and catch — literally, hold down animals until their master arrived — wild boar and wild cattle. In time, the some breeders started emphasizing attributes that improved their prowess in the dog fighting arena. So, deep down, the typical Pitbull is animal aggressive (Click Here to learn how curb dog on dog aggression), and has an aggressive temperament at its core. Some Pitbulls are so aggressive that it is not safe to keep another pet in the house. However, some owners insist that all it takes is proper socialization. 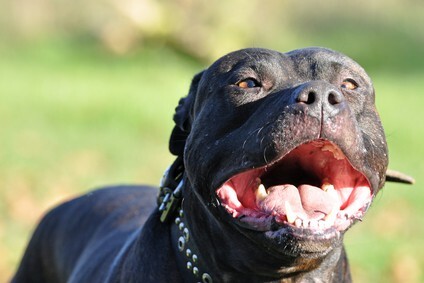 In our article “The 9 Most Aggressive Dog Breeds” the Pitbull ranked #1. The personality of a Pitbull does not form until he is around three years old. It is near the end of his first year when he starts testing his boundaries. Remember that he is bred to be an alpha dog. It is absolutely crucial that you firmly keep him in his place. There must be absolutely no doubt in his mind that you are the “alpha”; a situation can quickly become extremely dangerous if he switches into the “alpha” mode. A strong determination is one of the most fearsome Pitbull Temperament traits. Combine that with his enormous overall strength and powerful jaws and one can begin to understand why a Pitbull inspires dread. Scientists have determined that there is no “locking mechanism” in their jaws. 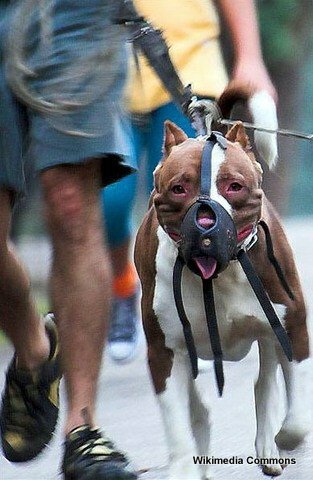 It just seems that there is, because a Pitbull, bred to hold on as wild animal “catchers”, will “never let go”. A Pitbull is ultimately a dog and all dogs have common ancestors. So, like any other dog, Pitbulls run the gamut of personality types. Also, like any other individual — humans included — a Pitbull has his moods. The real problem with Pitbulls is that they are superb fighting machines. Therefore, in a serious confrontation, it can be fatal for the opponent. For this reason some believe that the Pitbull should be banned not because they are inherently bad, but because, like the lion, cheetah and the chimpanzee — remember Travis and Charla Nash — they are too dangerous in the hands of the inexperienced general public. I expect this debate over the fate of the Pit Bull to rage on for many more years to come.